NY Townhouses! NY Townhouses! NY Townhouses! 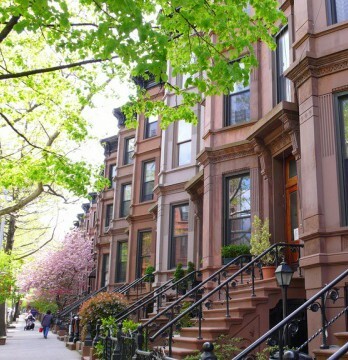 Do you love NY Townhouses? Take over this half-finished gut renovation of the owner’s south garden quadruplex. Bring your contractor to finish this big handsome five-story New York City townhouse. The expansive space with extra tall ceilings is ready for your design. Grand entrance stairway has an ornate built-in bench adjoining the entrance to the Parlour floor. Fabulous fireplace mantles were preserved when the owners enlarged the square footage to include a double extension. The basement was dug out and new steel beams have been installed throughout the lower floors. 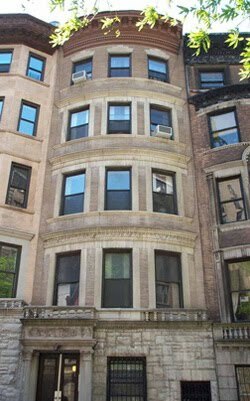 Rental income from the upper floors will help defray the cost of owning your own NYC brownstone. Fourth floor front and fifth floor rear studios are vacant. With a newly reduced price, this property is a real deal among Manhattan brownstones for sale. 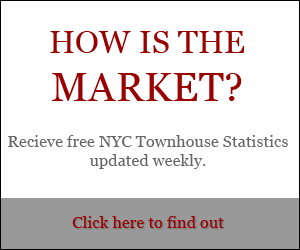 Looking for NY Townhouses? 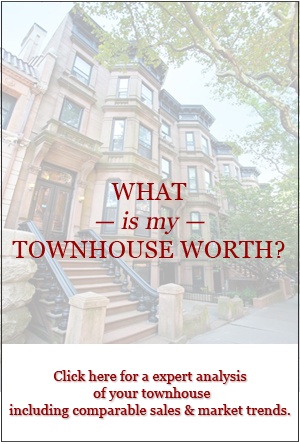 For more information on NY Townhouses and other townhouses for sale, contact Vandenberg — The Townhouse Experts TM. We specialize in townhouse realty.